This is one for all those mama's who's little one is full of why questions and a need for immediate answers. Are you in that phase of mommy-hood? I sure am! Just the other day I stumbled across a fun little bedtime story that I enjoy and my boys actually seemed to like. Hello, Stars! 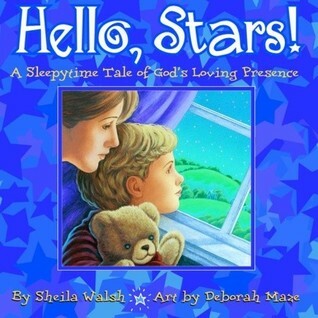 A Sleepytime Tale of God's Loving Presence by Shelia Walsh. Have you heard of this one? This story follows a little boy as he tries to comprehend how God can be so close to him, while he can't actually see God ever. He has a long list of questions that he asks his mom along these lines. My personal favorite question, "if God bends down to see my face, why can't I see His knees?" I mean doesn't that just sound like a question a child would as his mom, leaving her utterly speechless? Well the little boy gets it in his head that God is like the stars, which of course he can't always see, right? But he doesn't understand that the stars are always there, even during cloudy nights, rainy nights, or the day time. Until one night when he accidentally over hears his mom praying. She was praying that God would show her son how real He is. Of course in response, the stars start shining brightly again, and the boys starts to understand that just because he couldn't see the stars, didn't mean they had gone away. The story ends with the little boy sitting in his mother's lap on the rocking chair watching the stars, as she explains how even though we can't see God the way we see people, He is just as real and present in our lives. This quick bedtime read, has beautiful art work that follows the story completely. Most importantly, the art displays the moods that the little boy displays, which is a nice bonus for the times when we just discuss what we see in the picture instead of the words - we can talk about why the boy is crying, or where the mommy is praying at. I would recommend this book to parents of children around 3-6 - those ages where asking questions seems to a child's purpose in life and parents simply need some help finding the right words to answer all the time. Have you read this book? 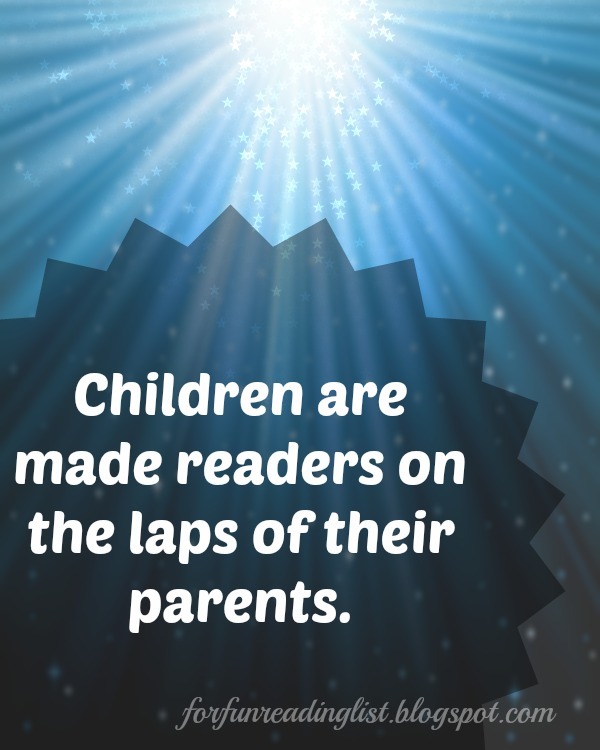 Do your kids ask you questions all day every day? Join the conversation!